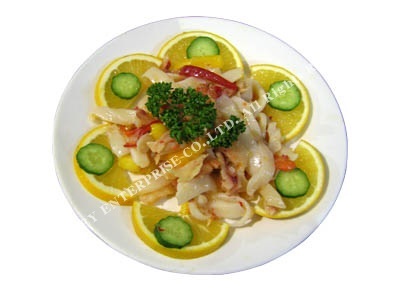 Cuttlefish with Fish Roe in Cold Dish | LIAN RUEY Enterprise Co., Ltd.
1. Defrost the Cuttlefish with Fish Roe. 4. Sliced the cucumber and orange to decorate the plate. 5. Place the mixed peppers on the decorated plate.